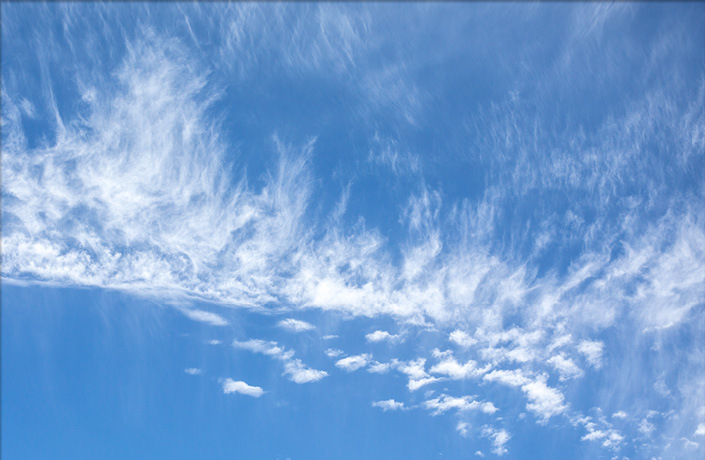 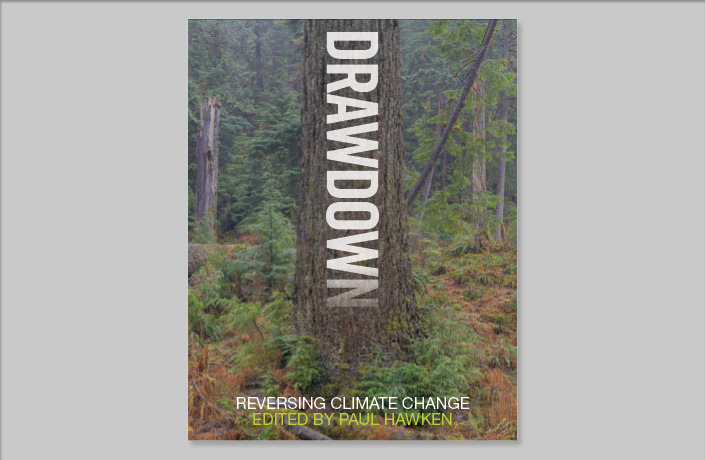 Drawdown describes when and how we can reach climate drawdown, the point at which greenhouse gas concentrations in the atmosphere begin to decline, by mapping and modeling how 100 climate solutions can continue to scale over the next three decades. 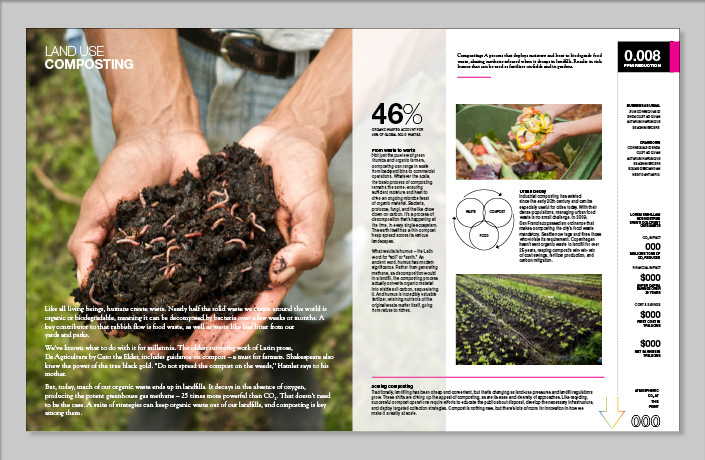 The list is comprised of technological solutions, like renewable energy, social solutions that require behavior change, like dietary choices, and ecological solutions, like restoring carbon in soils and plants by sequestering CO2. 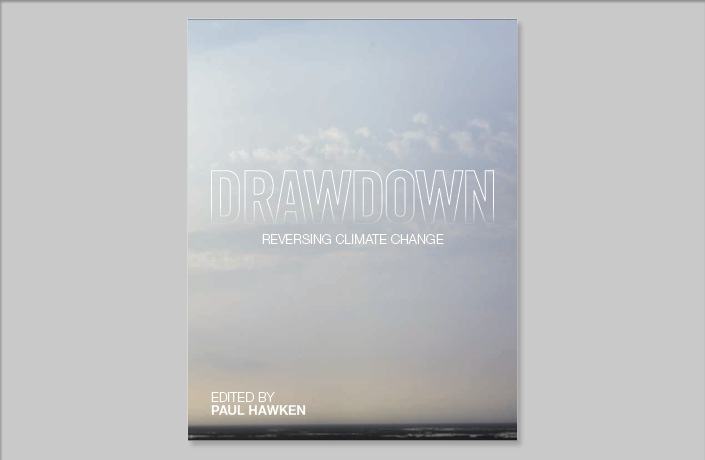 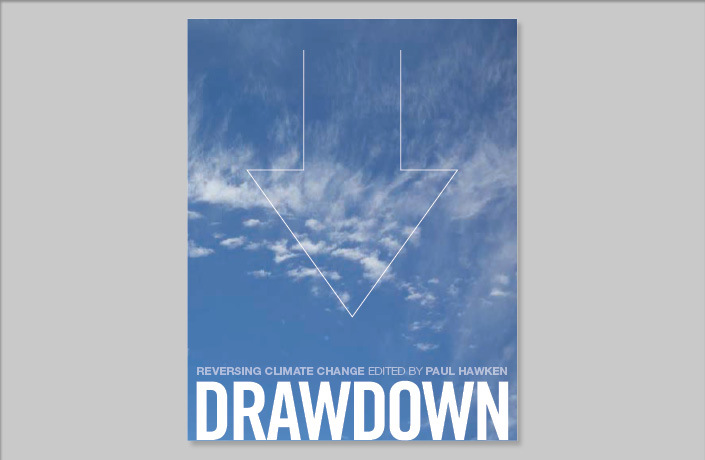 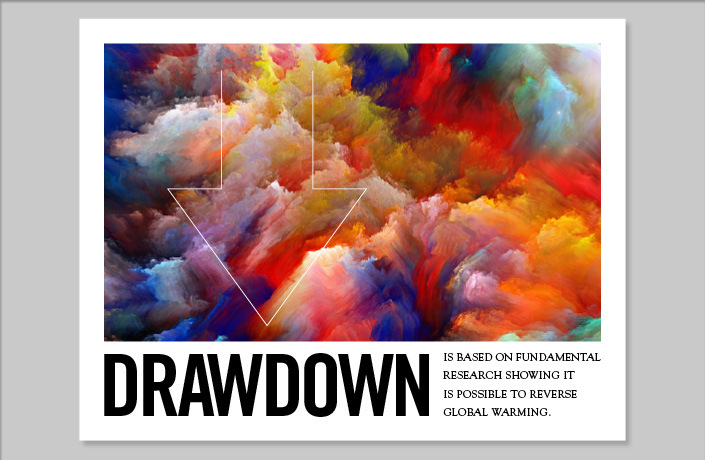 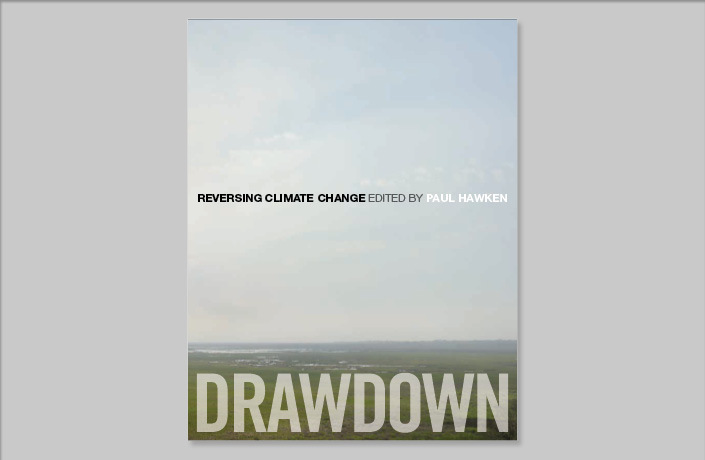 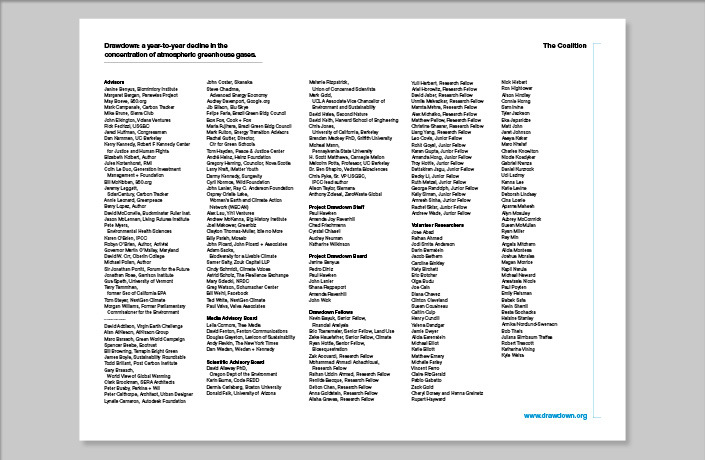 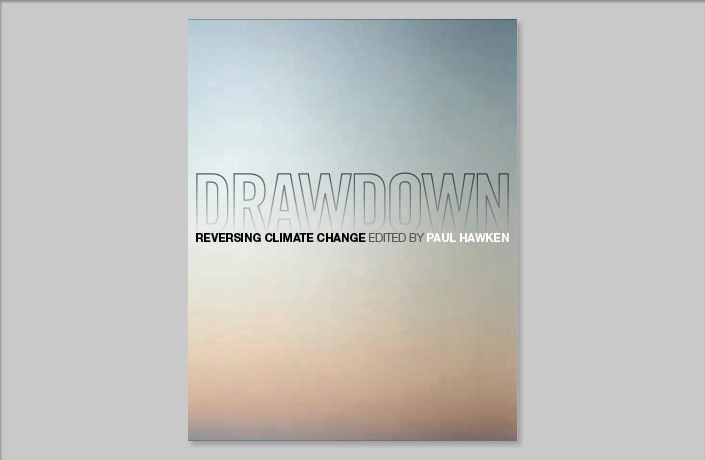 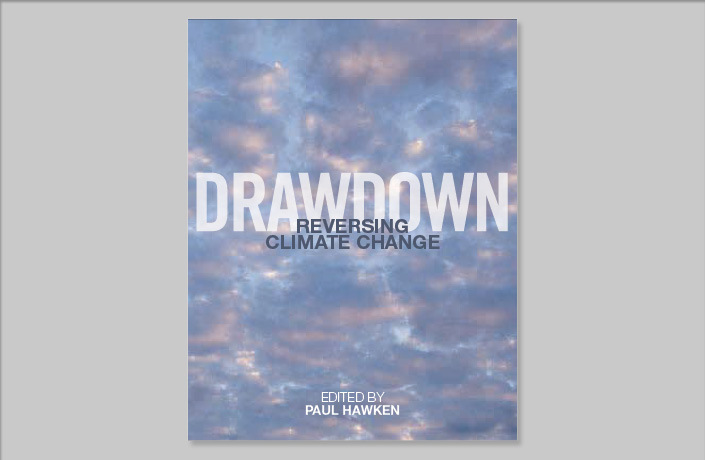 L Studio worked with Paul Hawken, the executive director of Drawdown and leader of its coalition of more than 200 scientists, business leaders, activists and professionals, to develop design strategies for the book that will document the science of Drawdown, to be published in 2017. 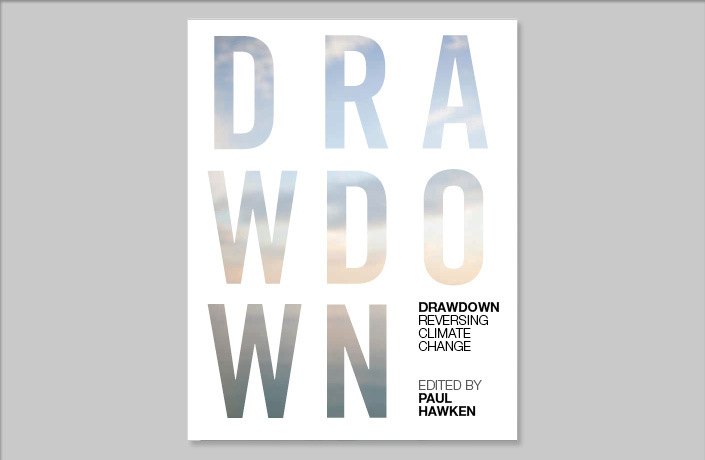 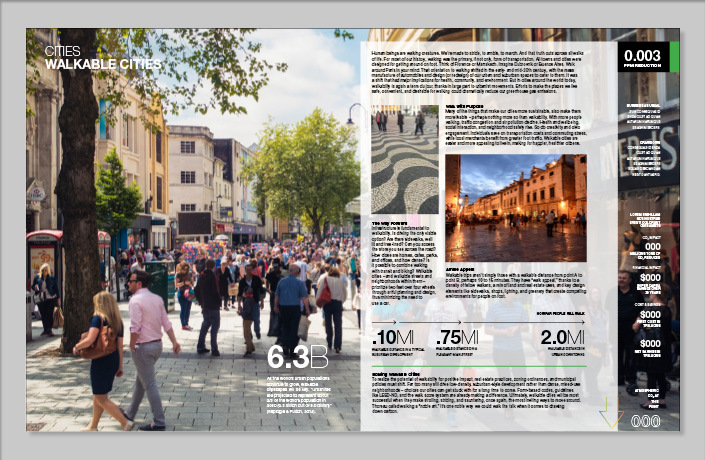 Design of an overview of Drawdown’s mission, a listing of the solutions that will lead to Drawdown and acknowledgements of coalition members. 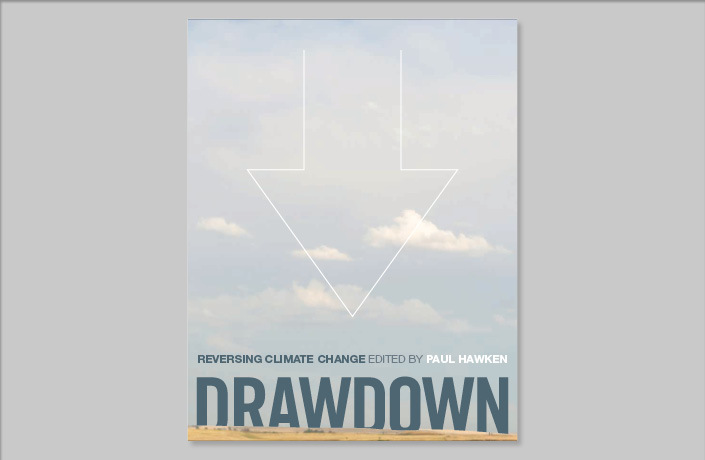 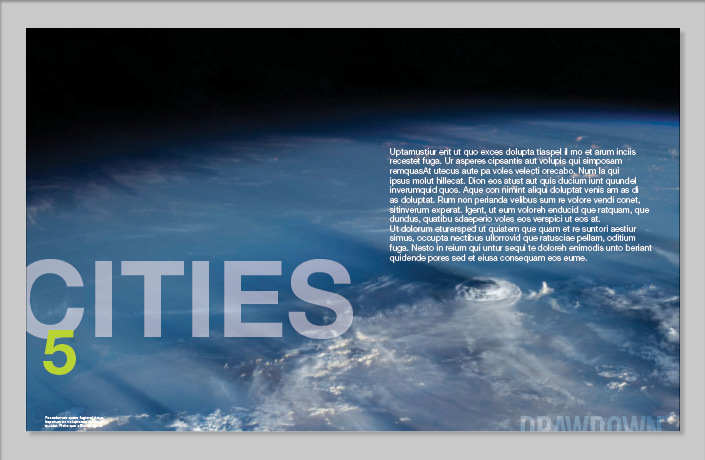 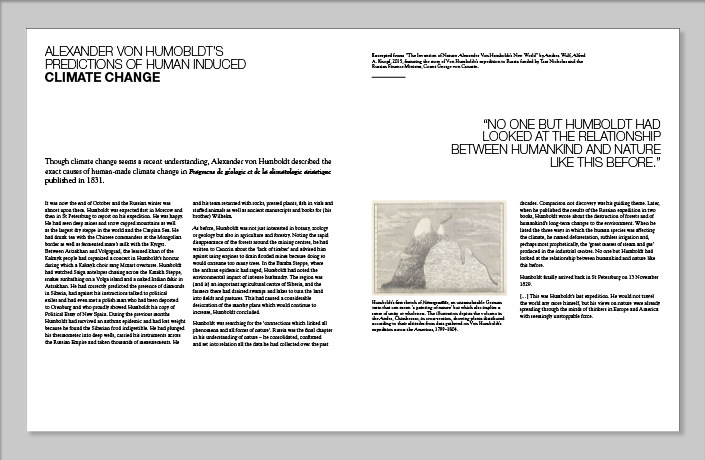 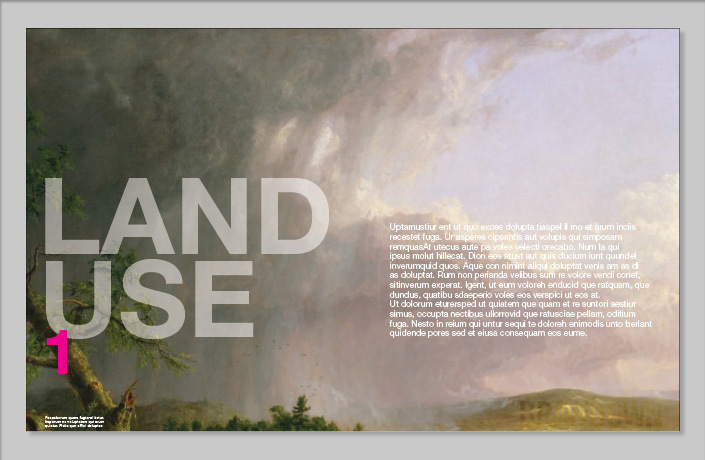 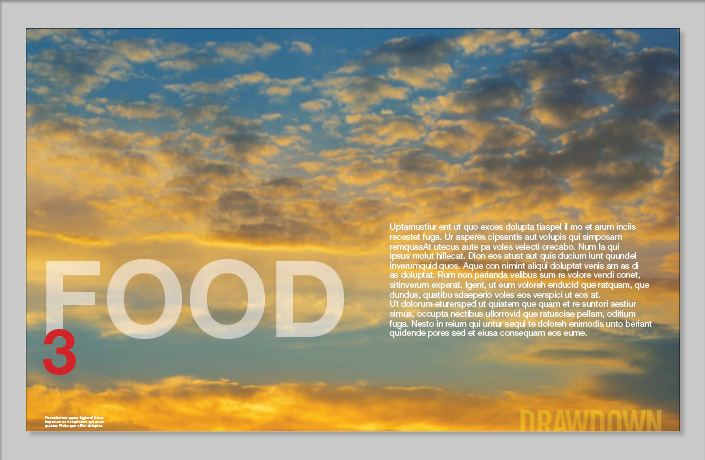 Design studies for the Drawdown book cover, capturing the beauty of the earth’s atmosphere and biosphere. 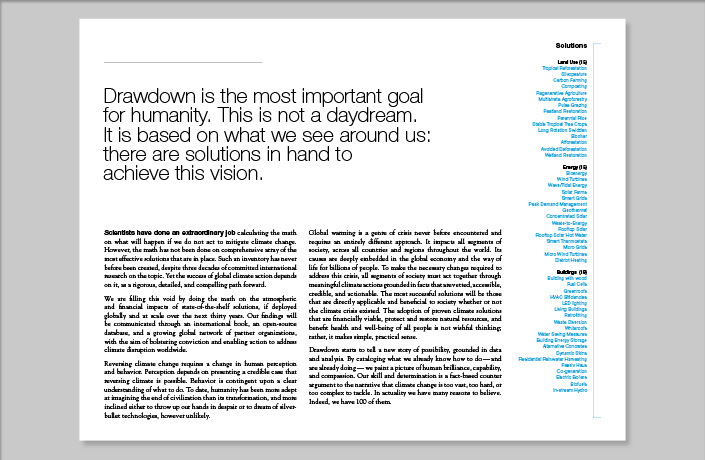 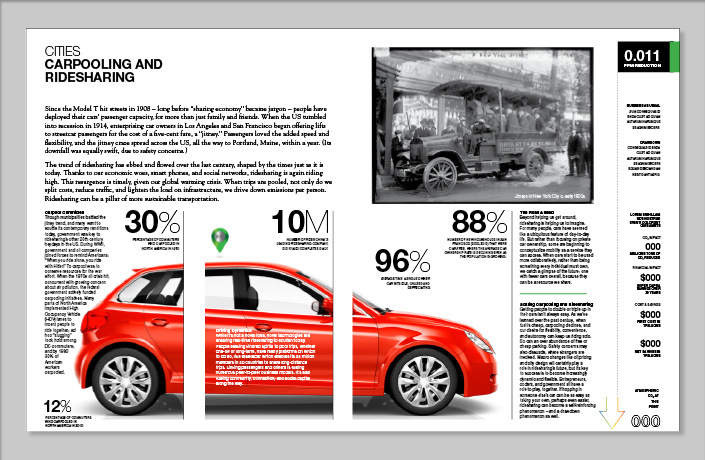 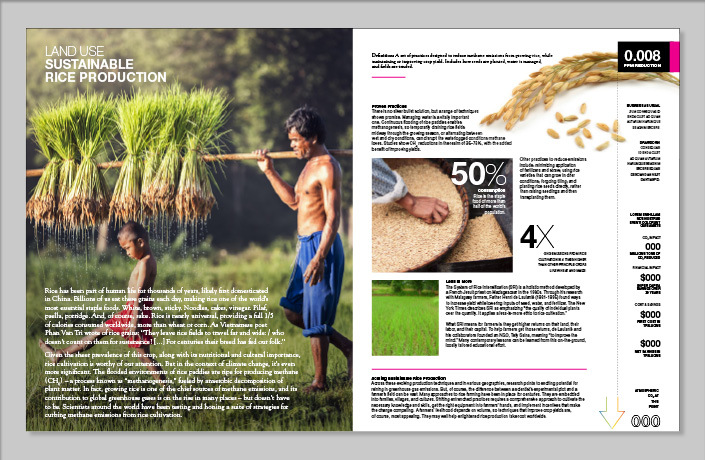 Design studies for the book spreads, representing the research and data behind each of the 100 solutions that will lead to drawdown. 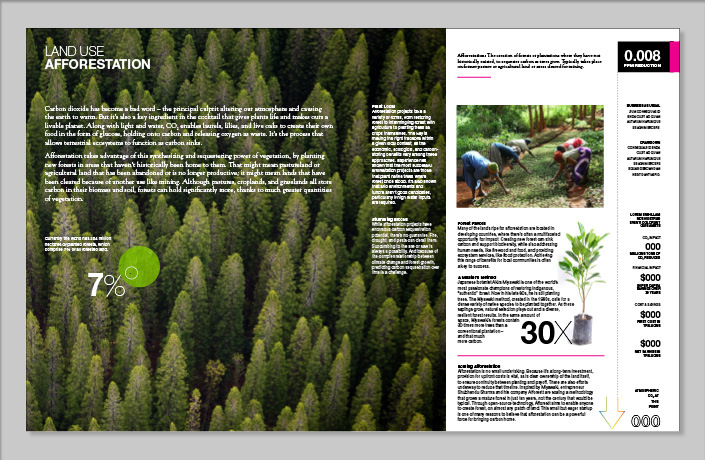 Divider pages organize the book into sectors.